I’m a small-project knitter. I like immediate gratification, I like being able to finish projects quickly, I like being able to start new projects quickly. But sometimes a certain yarn has something else in mind. 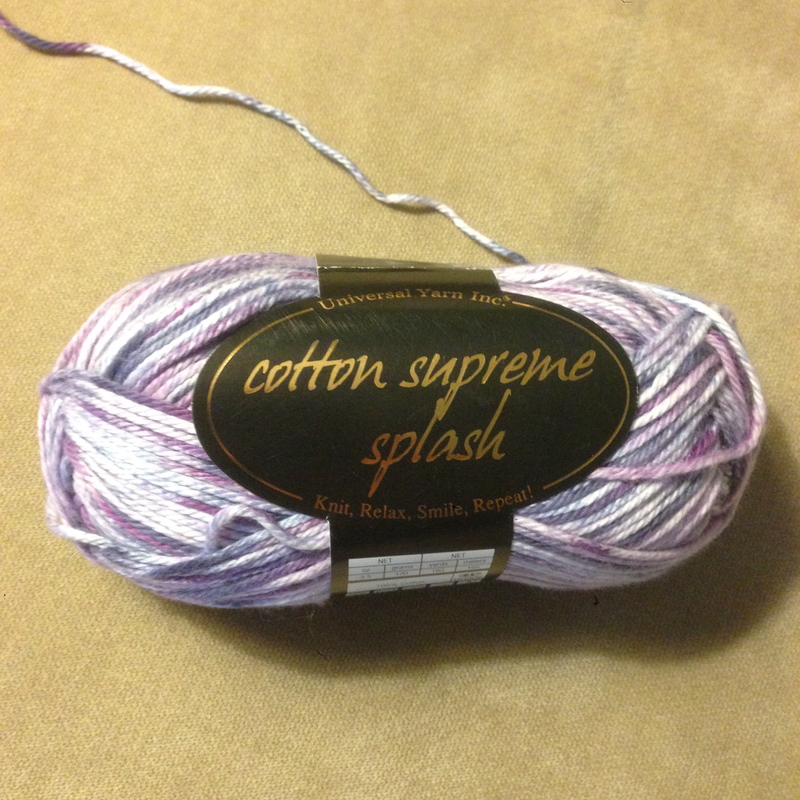 I found this Cotton Supreme Splash in the Hillcreek Yarn Shoppe in Columbia, Missouri over a year ago. It’s purple, it’s cotton, it’s soft–it’s everything I love in a yarn. I bought two skeins with no idea what I was going to do with it. Soon after that, I saw the same yarn at Knitcraft, my LYS, so I bought three more skeins. With that much cotton, it was obvious this yarn wanted to be a bigger project. I had crocheted a cardigan, so maybe I needed to knit one. The yarn hibernated for a long time, months, while I waited for inspiration and the right pattern. For my first knit cardigan, I didn’t want to take too many risks, so I wanted a pattern using yarn the same fiber and weight as my yarn. 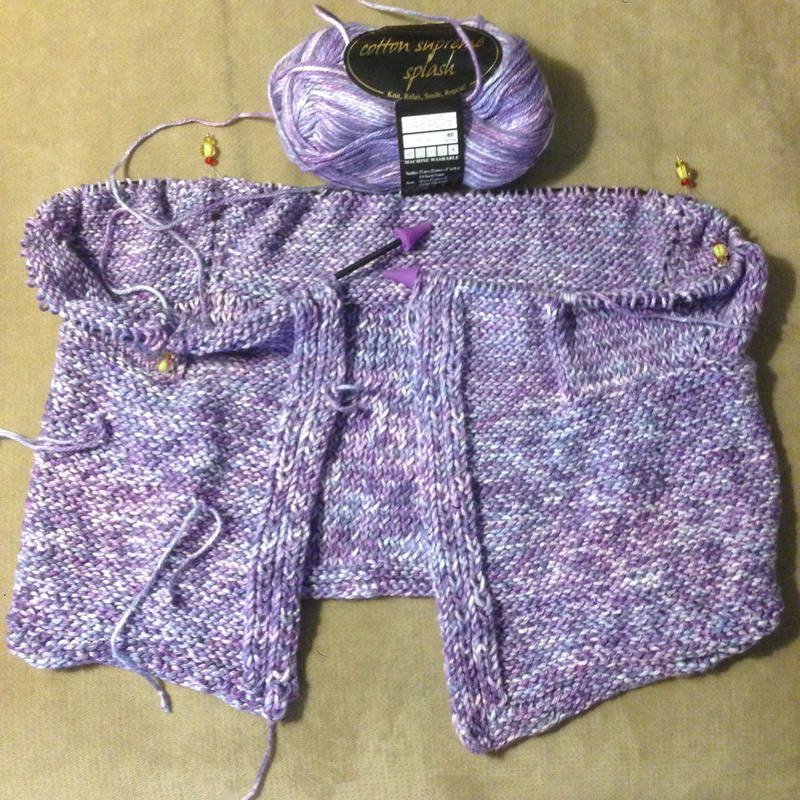 When I found the Lilas Cardigan on Ravelry, I knew it was the right one. Even though I almost always use free patterns, I happily paid for this one. I found one more skein at my LYS and grabbed it, just in case. I cast on quickly, thinking I could maybe get it done in the couple of months before my summer vacation. The pattern starts at the floppy collar and it knit up quickly. 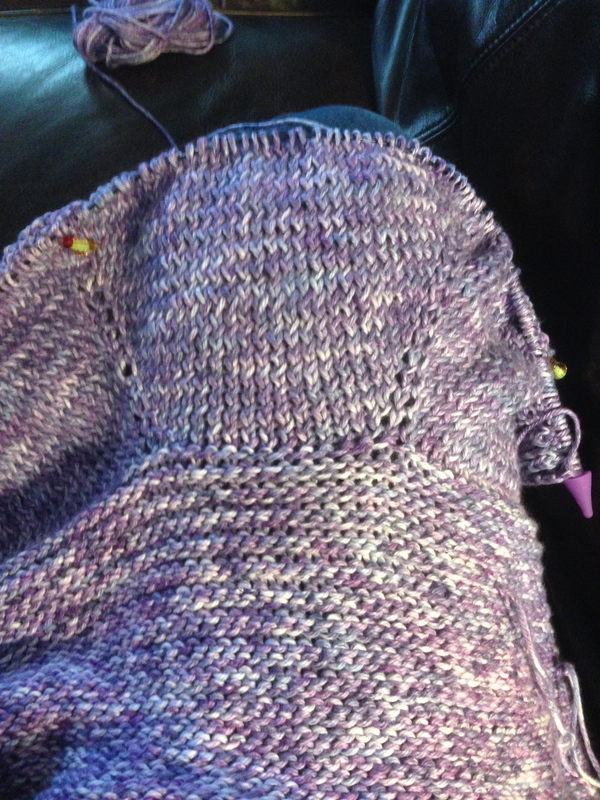 After the collar, the pattern moves into the yoke. With the size I’m making, I had 30 increase rows to do, and after the first couple, I had the hang of it, and found it…a bit boring, I hate to say. 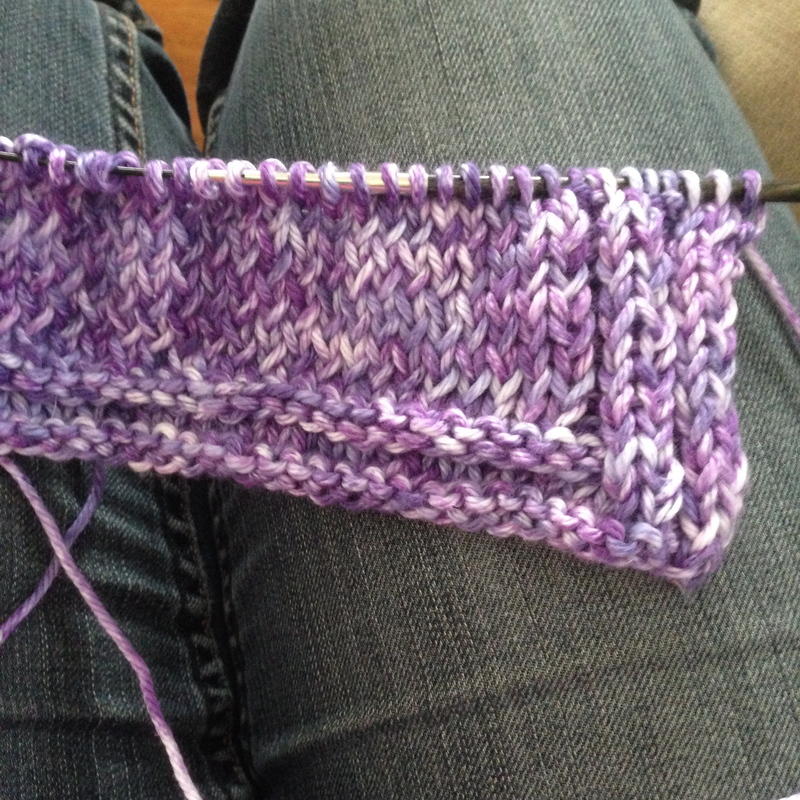 It was a lot of stockinette stitch. I got about eight rows into that section and couldn’t stand it anymore. It would be too hot to wear in the summer anyway. So into hibernation it went, and I ignored it for the next two months. I did pack it when I went on vacation, thinking I could work on it on the train. I didn’t work on it at all, but getting it out reignited my interest, and I started knitting on it again when we got home. I powered through those boring increase rows and finally yesterday I made it to the next section of the pattern. 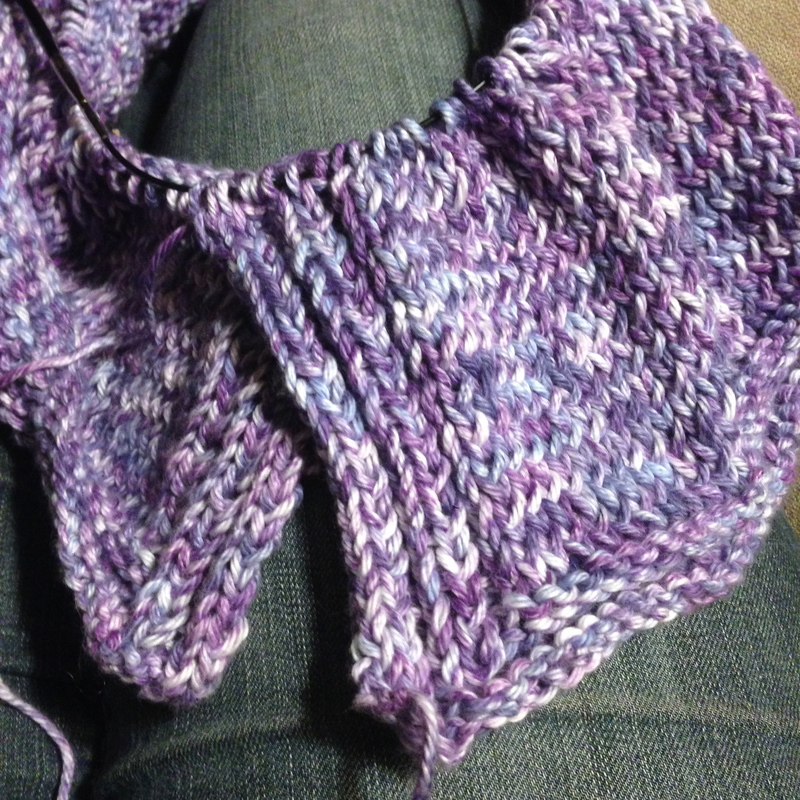 It’s still the yoke, still working on increase rows for the sleeves, but I can see the progress. I can see that it’s growing into a real sweater, with sleeves and everything, and it’s exciting. I can’t wait until I get to divide for the sleeves! 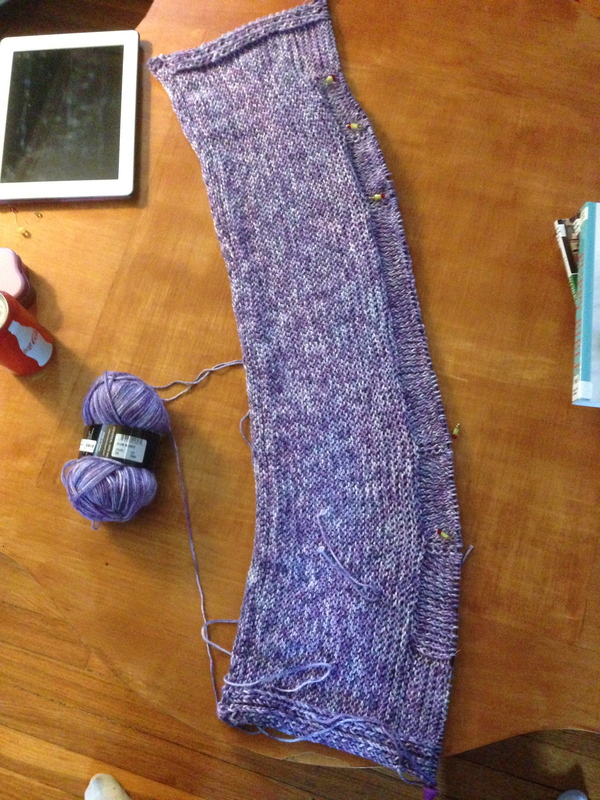 And with any luck, I’ll have a lovely new cardigan to wear in the fall!